About halfway through I was all "WTFcakes a dude!? Oh wait, it's just a backdancer. Oh wait, there are no backdancers. WTFcakes a dude!?" Wow, I can already see the pairings rolling in. They made it easy for us to identify the group pimp. I haven't gotten deep into Kpop at all, but the style of the video strikes me as a darker, more laid back version of recent Kara. Am I the only one? My god, Sully looks like my . . . . but I think I'm warming to the idea of following them. Luna! I think I'm going to tag her as my fav. Even if she's too young, and her outfit is horrible in the teaser. Krystal totally looks like Goo Hara in that picture. Amber's picture looks like it was taken without the flash or something lol and why does she have the girliest name? i've been posting small news bits on my twitter. the article is thought to be written by a SM insider but nobody can guarantee it. f(x) is gonna promote Lachata as a digital single (mp3) very shortly then release a mini album. Lachata is a strong performance-focused song. And they're gonna release a teen-pop style title from mini album which is soon to be released. As far as I know it's already recorded. Since the girls are very young, Lachata promotion is only for image making, and will be very short. SNSD's mini album concept is still flexible. SM is gonna watch how f(x) mini album does and decide the concept. They had already received another euro pop title which is stronger than Genie. then they will release repackage album with cuter title from domestic writers after f(x) goes overseas. How f(x) does will affect SNSD including album concept. SHINee will release album on September 23 as planned without any relation with girl groups. "Amber and Krystal were wandering around in Apgujung(fashion, shopping district) arms hooked together. Someone tried to take their pics but Amber grabbed Krystal and walked away kekeke"
"I thought she was a guy at first...an attractive American style guy...good manners... she has a nice husky voice...then one day I was shocked when I noticed the chest... she really is pretty and handsome... I almost fainted when she smiled at me, smiled in a really cute way... fluent English...her Korean has an accent but is pretty good"
They haven't even officially debuted yet, but there's already a pairing . These kids are so damn tall. A reason to hate them . 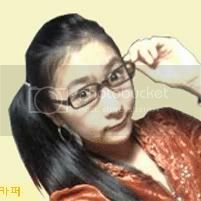 Victoria is 168, Sulli is 169 (she was only 149 in her old profile lol), the shortest is Luna, it seems, and she's 163! Krys should be at least 167. Amber looks very tall in the pic above, much taller than Krys, but I thought she seemed shorter in the teaser . Oh yeah, first sched for them! I think they record it and put it on air some days later? Will they have their first debut stage on MuBank that day too? From left to right; Sulli, Amber, Krystal, Victoria and Luna. SM Entertainment's new girl group f(x), consisting of members Sulli, Amber, Krystal, Victoria and Luna will make their showcase debut on September 2nd, 2009 at 5:00pm KST! They will be showing off their fashion and music, as well as interact with fans and put on their first performance at the Seoul Samsung dong Fashion Center (삼성동 섬유센터)! The event will last 1 hour, in which they will unveil their single LACHATA and music video, as well as show off their special talents. To support f(x), senior's Girls' Generation and SHINee will be in attendance at this showcase of SM Entertainment's newest girl group. LOLZ. Well, +1 job for my girls. And i don't think the girl in the middle's wearing any pants!!! I like this group! I actually think Amber looks a weeeddle bit more feminine here because of the pants. Oh, the MV will be out on the 2nd too! Damn, that's fast. No pants? Krystal is following in the footsteps of big sis, Jess, huh ? I'm glad the MV is coming out soon. I can't get this "Lachata" song out of my head ! I'm really excited for their debut, but i still don't have a fave, at least for now. I look forward to the full PV and seeing them on TV shows. Someone go find more Krystal pics, thanks! There're just old ones that we've seen a million times already. thanks .. Does anyone know who is this cute glasses girl in the 4th,8th and 9th pics? I think that's probably just her friend from school. oh ok thanks, thought she was some SM trainee. I just signed up for the EFF OF EX forum. Why? I don't even know. D: .... I seriously >>jinxed myself<< with this whole Krystal and Manber thing. Searching the Web for “la chata” brings up a range of uses, from affectionate to vulgar. I suspect — or am I hoping — in this case, they are using it in its happier meaning. It originally was applied to women with small or snub noses (”chato” for men). “La chata” can now be used as an affectionate term or a nickname for a woman. Hell, even restaurants have the name. Lachata puede ser el nombre de un antiguo bar mexicano al estilo “baqueros del oeste” y si se fijan bien las chicas F(x) tienen como que un aire a cowgirl. "Lachata" can be the name of an “old western bar” in Mexico and somethingsomethingsomething the girls can be portrayed as cowgirls. i don’t get why SM ent has to wait and see how they (EFF OF EX) do when SNSD is the bigger and older group. Like what’s new for SM Ent to test? And if there’s anything to test, shouldn’t you test with SNSD first so you know what to do for the new group (i.e. EFF OF EX)? f(x) member Amber has been revealed! Often mistaken for a boy, this little tomboy made it into SM Entertainment's upcoming girl group during SM's 2007 global auditions. Amber is Chinese-American and from Orange County, California. 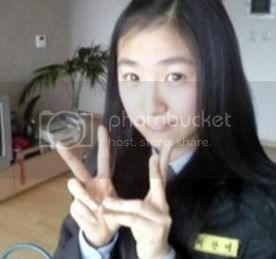 She's been receiving vocal, rap, Korean and dance training in Korea, since the beginning of 2008. Definitely not a long time, so perhaps she's just naturally talented? 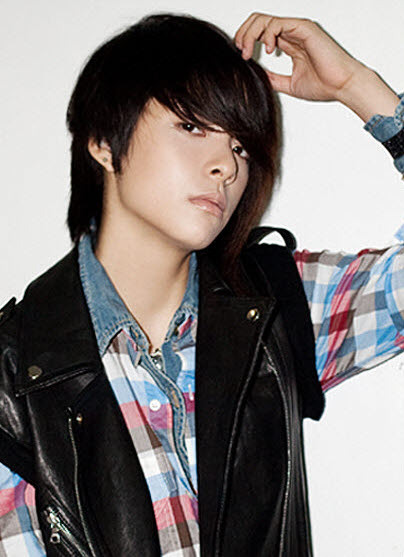 Fluent in English, Chinese and now Korean, Amber's main strength's are her voice and powerful rapping. She also stands out a lot, due to her charismatic and tomboyish looks. I don't know, I actually think SNSD are more suitable to go to Japan than f(x). Having other local big groups as a competition isn't that much a problem to me, it means that that's the kinda group otaku like. Plus they have Sooyoung . f(x) is made for China. I think I read from somewhere the first day that Lachata might be Hebrew..
Oh yeah, I doubt that Heo Chanmi girl is Amber. Or maybe there are more than one trainee with that name. Coz I went to her cafe on the first day the teaser came out and there was nothing in it, no activity at all, which I found weird. Oh Korea. lol I read trainee as trannie. ^^^That remains a mystery . In this article, it says that she was raised in the U.S., Canada, Thailand and Malaysia. I wonder how many languages she knows. But, damn, she's only been training for 2 years.